Ahhhh. A rose from my sweetie. 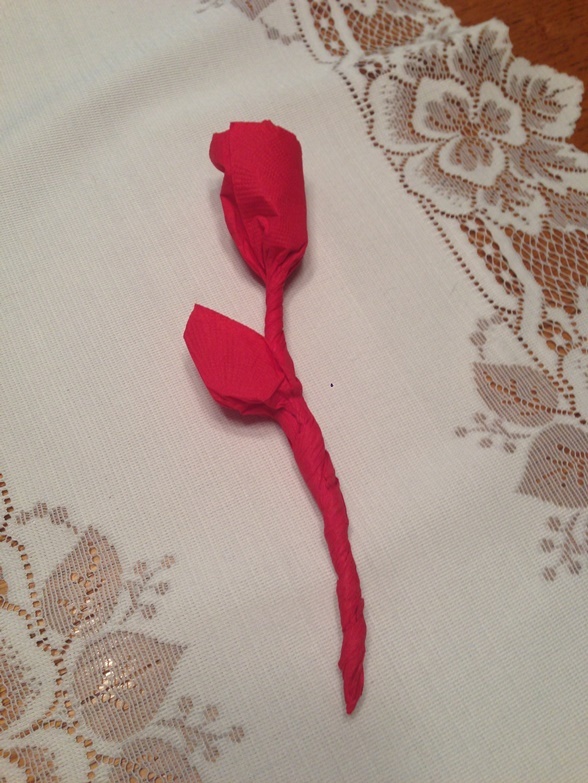 He is very good at making roses out of paper napkins. I wonder if I could do a blog post about it. I could record him making it and he could talk us through it? Hmmmm. Sounds like an idea. I will have to see what he says about it. Here is a red rose for the Friday Photo!